The easiest way to transform your notes into beatiful Web documents! - 12 different styles to choose from! Tired of having to write tons of markup just to express something simple? Do you want to create beautifully looking web documents, fast? WE understand. That's what we had in mind when designing Markdown : simplicity in use. 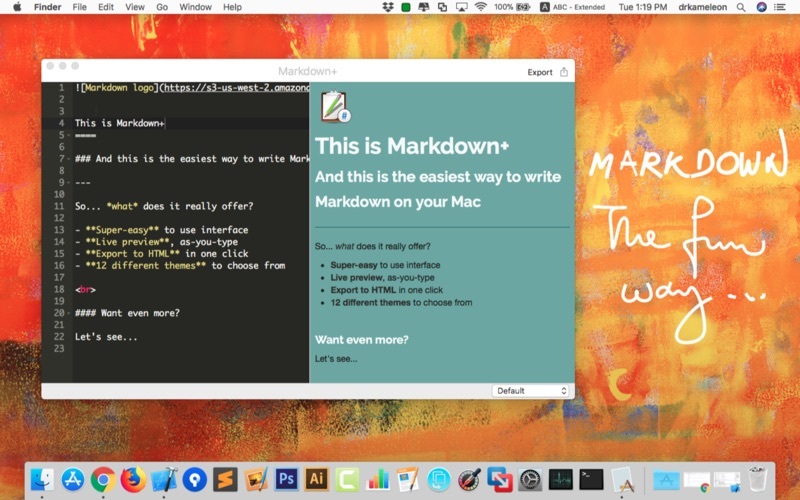 If you are fed up with mediocre solutions, then try Markdown+. You won't be disappointed!